The legal minds in Egypt are too mired in the nuances and letter-of-the-law they insist on observing to realize that they are being out-smarted by a canny adversarial mind that learns swiftly on the job. No one expected too much of Mohammed Morsi other than as a flabby-minded front for the Muslim Brotherhood, but now it's difficult to determine who is leading whom...? On the other hand, one can only wonder whether the president's decree that has placed him, his party and their joint intentions above the law would have been put out there to contest the peoples' will had he been able to anticipate the outcry and defiance it would bring to the fore. Most Egyptians seemed prepared to settle for what they got in the election that brought the Brotherhood and the Salafists to power, that they could tough it out and hope for the best. Now, it seems the best they can tough out is too tough for them to grin and bear it. While hopes were pinned on a gradual evolution that would bring more freedoms and respect to the fore, along with an enhanced economy with the usual investors abroad reassured that deposing Hosni Mubarak didn't spell the end of investment security, the status quo seems to have returned with the vengeance of the recently elected to become as hostile to democracy as possible. The regime that was forced to surrender to mass protests initiated by poor economic conditions, unemployment and despair in the streets of Cairo and Alexandria has been replaced by a duly elected regime that is emulating and even surpassing the one it took over from. But not to worry, since President Morsi has been swift to reassure his critics that the decrees he has promulgated are a requirement to protect the "revolution". After all, the most important thing in the minds of the liberals, the leftists, the minorities, was to democratize the nation. And so, it was quite necessary to provide the 100-member panel constructed mostly of Islamists with the security they require to draft the new constitution without fear of being once again assailed by the courts. Egypt's Supreme Constitutional Court thought it was playing hardball when it stated it planned to proceed with its intention to rule on whether to dissolve the assembly writing up the new constitution, but in so doing they gave away the game. The Islamists so busy over the past months constructing that shiny new constitution for Egypt have sped up their game, going all out to present a fait accompli before Sunday. And their determination to enshrine Sharia law in the most populous of Arab countries will proceed on their accelerated schedule; game over. Muslim clerics may gain oversight over legislation, bringing restrictions to bear on freedom of speech, women's rights and other liberties that the original protesters had agitated to achieve. The more things change the more mired they are in sameness. The assembly has put their collective nose to the grindstone for completion of the 230-article draft in an amazing time warp. And they've had the freedom to do so unobstructed by protests from those liberal, secular and Christian members who had a minority presence on the panel, since in their great wisdom they chose to withdraw in protest of the Islamists' hijacking of the process. As though Egypt hasn't enough problems. The country's highest appeal courts went on strike in protest of the presidential decree. Judges insist they will not return to work until the president rescinds those decrees. "This is the highest form of protest", said Nasser Amin, head of the Arab Center for the Independence of the Judiciary and the Legal Profession, refusing to believe that Morsi's bid for the buck to stop with him will become law. So the courts are temporarily in high dudgeon, virtually moribund, and so is the economy, while crime runs its course fairly unimpeded in a one-size-fits-all frame of reference; if the president of the country can take the law into his own hands, why not every petty criminal roaming the streets if the mood takes them, when the time to strike seems right? President Morsi is promising a nationwide referendum "very soon", to ratify the draft, to bring it into law through due process. Absent the Supreme Constitutional Court input. End run on an end run. AHMAD GHARABLI/AFP/Getty Images Palestinians celebrate in the West Bank city of Ramallah on November 29, 2012 after the General Assembly voted to recognise Palestine as a non-member state. Foreign Affairs Minister John Baird will meet as soon as early next week with the Canadian diplomats the federal government is recalling from Israel, the West Bank and the UN. In an interview with the National Post, Mr. Baird said he will meet with those representatives in Ottawa for a frank discussion on Canada’s next move after Thursday’s UN vote that implicitly recognized a Palestinian state. Despite widespread speculation, Mr. Baird said Canada is not considering breaking off relations with the Mahmoud Abbas’ Palestinian Authority and deferred questions about Canadian aid to International Cooperation Minister Julian Fantino. When asked about the future of Canada’s financial support to the UN itself, Mr. Baird said Ottawa is “not making any threats in that regard.” He pointed out, though, that when UNESCO approved a Palestinian bid for full membership, the U.S. cut millions in funding to the UN. “I was clear then that the UN better not pass the hat around and expect that Canada make up for those types of reductions,” Mr. Baird said. Echoing the Obama administration, Mr. Baird said his “key” concern is the prospect of the Palestinian Authority seeking access to the International Criminal Court, where it could move to try Israel for war crimes. STAN HONDA/AFP/Getty ImagesJohn Baird, Canada's Foreign Minister, speaks to the United Nations General Assembly before the body votes on a resolution to upgrade the status of the Palestinian Authority to a nonmember observer state November 29, 2012 at UN headquarters in New York. “That’s why I want to sit down and consult with our representative to Ramallah and our UN ambassadors to get a sense of what the road ahead could look like,” he said. The Palestinians have said privately they will not head to the International Criminal court, but they rejected American and British requests to make an explicit promise in their bid language. “They had an opportunity to assuage fears on that, and they declined to do so,” he said. Mr. Baird said he also wants to speak with Ottawa’s representative in Ramallah about recently reported threats by the Palestinian Liberation Organization that Canada will suffer consequences for its vote against the UN bid. AHMAD GHARABLI/AFP/Getty ImagesPalestinians celebrate in the West Bank city of Ramallah on November 29, 2012 after the General Assembly voted to recognise Palestine as a non-member state. ABBAS MOMANI/AFP/Getty ImagesPalestinians celebrate in the West Bank city of Ramallah on November 29, 2012 after the General Assembly voted to recognise Palestine as a non-member state. ADL: European nations acted “without courage" and "capitulat[ed] to Arab intimidation" during PA's bid for upgraded UN status. European nations have acted “without courage" and have "capitulat[ed] to Arab intimidation and pressure" by voting in favor of, or abstaining from, the Palestinian Authority’s bid at the United Nations General Assembly on Thursday to be granted an upgraded status of “non-member” observer state, announced the Anti-Defamation League, upon hearing the results of the vote. “After the Palestinians rejected the U.K. request for assurances that they would return to negotiations without pre-conditions and not complicate those negotiations even further by pursuing Israelis at the International Criminal Court, all of Europe should have stood with Israel and the United States and said, ‘No. Negotiations are the only way to statehood,’” concluded Foxman. The League praised the United States and U.N. Ambassador Susan Rice for her strong statement on the U.N. floor and for her efforts to encourage other countries to follow the U.S. lead in rejecting the Palestinian Authority resolution, which was approved by a vote of 138 to 9, with 41 abstentions. "Today's grand announcements will soon fade and the Palestinian people will wake up tomorrow to find little of their lives has changed, save (that) the prospects of a durable peace have receded," Rice said. "This resolution does not establish that Palestine is a state," she said, echoing an earlier speech made by Israeli ambassador to the UN, Ron Proser. "Today's vote should not be misconstrued by any as constituting eligibility for UN membership." Rice affirmed that "only through direct negotiations between the parties can the Palestinians and the Israelis achieve the peace that both deserve." Palestinian society remains divided politically and geographically between the Hamas-controlled Gaza Strip and the West Bank governed by the Palestinian Authority (PA). The economic weaknesses remain of course, as do all the difficulties of living under an Israeli occupation, which stretches back to the Six-Day War in 1967. And of course there is the chronic problem of the moribund peace process with Israel. For all those reasons the decision of the UN in New York to upgrade the status of the Palestinians by an overwhelming majority could be seen as largely symbolic. But the point is that in the Middle East, symbolism matters. If it did, then they would be able in theory to pursue Israel for its settlement policies on the West Bank - widely seen as a clear breach of international law. Israel rejects that legal interpretation - but it may not be anxious to see the issue tested in court. Even if the Palestinians didn't decide to exercise that option immediately, the threat that they might do so at a moment of their choosing would be a powerful diplomatic tool. Israeli officials say all of this is already pushing back any prospects of peace talks. Palestinians I've spoken to argue that process was already so moribund that it was simple common sense for them to pursue an alternative path. In the build-up to the vote in New York, Israel worked hard to derail the Palestinian strategy - or at least to try to ensure the backing of a network of powerful allies. But that strategy failed - France voted for the Palestinians, and both Germany and the UK abstained. There is a natural tendency at such moments to look forward and try to work out what events in New York might mean for the future of the two-state solution and relations between Israelis and Palestinians in general. But it's worth looking at last night's vote in New York as a snapshot of where international sentiment lies right now on an issue which has bedevilled global diplomacy for decades. The recent conflict between Israel and Hamas in Gaza would have boosted the standing of the Palestinian militant organisation in the eyes of the Arab world. It's not yet certain how Israel will respond to its diplomatic defeat. It may delay any reprisals until it's clear when and in what circumstances the Palestinians would make their move on the issue of the International Criminal Court. A first indication of Israeli anger, though, came less than 24 hours after the vote was taken at the UN. 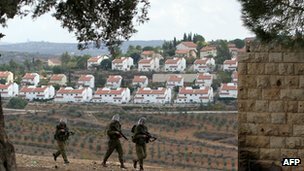 A senior Israeli official confirmed that the government is approving the construction of 3,000 new homes in settlements in East Jerusalem and the West Bank and speeding up the processing of 1,000 existing planning permissions. The Palestinians may well have been expecting this - or something like it - but it's a reminder that the gulf between the two on the settlement issue remains huge - and that events in New York and this reaction to them will do nothing to solve it. It's also worth re-iterating that a shift in status at the UN to the same status as that enjoyed by the Vatican won't fix a single road or feed a single child here in the West Bank or in Gaza. But symbolism really does matter. And on that subject, here's a final point to consider. We have grown used to referring to this dispute as one between Israel - the proper noun denoting a nation state - and the Palestinians - the use of a collective noun describing a people rather than a defined political entity. Does the UN's upgrade mean that the use of the title Palestine for that entity now enters the daily lexicon of diplomacy and journalism? And if it doesn't, when does it ? Something for them to ponder over in the foreign ministries and editorial conference chambers of the world in the coming days. Israel, seeking to defend itself from continued assaults against its people from its unfriendly border communities in the Gaza Strip and the West Bank, responding with artillery fire from rocket launching sites, is accused of genocidal intent. Gaza's rulers, Hamas, along with other jihadist militias like Islamic Jihad deliberately use Palestinian civilians within Gaza as pawns, as human shields, deploying their munitions from within crowded civilian enclaves with the purpose of accusing Israel of human-rights violations when it protects its own population by attempting to still the rocket fire from Gaza, when Palestinian Gazans become victims. And the world stands in horror of the duplicitous Jewish state which is accused of committing disproportionate response to hundreds of rockets launched against its towns, villages and cities. The grievance narrative of the victims, the falsified video footage that display the aggression of the Jews and the piteous condition of the beleaguered Palestinians squeezes the tender hearts of the international community, happy to once again condemn those Jews for victimizing helpless Palestinians. The very same mindset of blessed martyrdom and the achievement of honourable mention in the pursuit of Islamist justice compels radical Muslim groups fighting alongside other rebel units in Syria to commit atrocities against Syrian civilians. Although Israel has nothing whatever to do with the conflicts that take place in Egypt, Libya, Tunisia, Jordan, Lebanon and elsewhere in the Arab and Muslim world, the presence of the Jewish nation in their midst is cited as a provocation and the cause of tribal and sectarian violence among Arab countries. Within Syria the rebel groups are increasingly infiltrated by groups of Islamist extremists and foreign fighters. Who see nothing wrong and everything right with suicide bombings. Such as the two explosions that have latterly killed 34 civilians in Damascus, in a mostly religious minority enclave. At a time of day when people are lining up to look for employment, ensuring groups of people in a concentrated area. When the initial blast sent people into a panic, shattering nearby infrastructure, people soon returned with the intention of aiding the wounded and counting the dead. And that is precisely when a second explosion was set to go off, killing and wounding those who had returned to the scene of the disaster. One witness verified there were no troops around the district. Civilians were deliberately and with malice aforethought, targeted. "Is this the freedom which they want?" asked a young teacher, of the rebel action. Little wonder Syrian Christians and Kurds view the rebel agenda with suspicion and cling to the hope that the regime will survive, in the hope they will be protected from the Islamist depravity of slaughter for the sake of killing, and all in the name of the Islamist creed of jihad and martyrdom for the greater glory of Islam. "Over the last year the climate of repression in the United Arab Emirates has worsened dramatically and over 60 members of the Al-Islah movement, a non-violent opposition movement, have been detained. "Some have even had their citizenship revoked. That is a dangerous precedent. "As the environment in the UAE has worsened, our access to the country and the willingness of the government to engage in substantive debate has declined dramatically." Well, yes. It's more or less the accepted social contract reflective of the neighbourhood. As in, for example: "wot's gnu?" And there's the left, right on cue, helpful enablers to those whose 'peaceful' revolt is certain to stoke violent reaction to the potential of an overtake by Islamists; the choice given around the Middle East; exchange your friendly secularist dictator for an unfriendly theocracy. Human Rights Watch deplores the newly-introduced cyber-crime law enacted by the United Arab Emirates which, alas, "effectively closes off the country's only remaining forum for free speech", making it illegal to "criticize senior officials, argue for political reform, or organize unlicensed demonstrations". Furthermore, anyone charged under the new law could be penalized to the tune of up to $270,000, along with imprisonment. Altogether a compelling argument to mind their ps and qs. In essence, a reflection in part of the newly-released and very contested edicts released in Egypt by that country's new President, Mohammed Morsi, he of the Muslim Brotherhood. And here's the irony; the president of the UAE Sheik Khalifa Bin Zayed Al-Nahyan, and other government officials are not much swayed by the protests of the HRW, nor by the European Parliament which has similarly expressed concern. The concern of the UAE is wholly focused toward the incipient threat to their political and governing longevity. Where, within their precincts, a federation of seven emirates, they are facing a growing threat emanating from opposition groups representative of the Muslim Brotherhood-linked Al-Islah who have been agitating for regime change. "From the UAE's point of view, the tensions that are sweeping the region is another reason this new cyber law has been put into place", explained Theodore Karasik, director of research for the Institute for Near East & Gulf Military Analysis in Dubai. The UAE's rulers are becoming increasingly upset over the threat they perceive from the Islamist Muslim Brotherhood. Egypt and Tunisia along with Libya, and with Syria and Jordan now threatened, have fallen into the hands of the Muslim Brotherhood; unsurprisingly the UAE has no wish to be next in line. The Arab Spring which was to have liberated the states where it raised its banner for freedom has transmogrified into the Islamist Springboard, a condition that has no appeal for the UAE. Alas, Canada has succeeded yet again in offending. In its appearance at the United Nations Canada has turned from being an acquiescent, accommodating, co-operative member-state, complacently agreeable to the fact that among its coeval states there exist those whose human rights abuses are so domineeringly egregious as to be difficult to overlook, but with a concentrated determination, can be, and have been. The new Canada on the international stage, under the Conservative-led government of Prime Minister Stephen Harper has chosen a different path, and that fork in the road finally taken has caused great consternation, not only within the United Nations and among its member democracy-states, but even at home where the opposition political parties fondly recall a more timid, entirely less aggressive approach to human rights defence. The Islamic Republic of Iran is so incensed at Canada's intolerable effrontery at once again leading the demeaning charge of accusing the Republic of dreadful human rights abuses, it has turned its diplomatic face of contempt and accusation against Canada, in its stead. Canada, Iran charges, is "racist" and "self-centred"; obviously, incurably so. Canada, said Iran's ambassador scathingly, has "a long list of human rights violations" committed against "immigrants, Muslims, aboriginals and Afro-Canadian women". The country is guilty of "abusing human rights mechanisms to advance its self-centred political interests", the most obvious manifestation of which, therefore is the continued annual and unforgivable assault on Iran's reputation within the United Nations. "In fact, if any country had to get a resolution, [Canada] would have deserved it more than others because of their unsparing support of a regime [Israel] that has frequently committed genocide in the Palestinian Occupied Territories", fumed Mohammad Khazaee in a statement to the UN General Assembly Plenary. How does one 'frequently commit genocide'? Israel, among the 42 co-sponsors of the resolution passed by the UN humanitarian affairs committee condemning Iranian abuses, represents an outrageous irony, since within the UN, in incendiary slanderous motions led by countries like Iran, Syria and Cuba, Israel is held to be the world's most notorious human-rights abuser. At issue, needless to say, is Iran's use of torture and the death penalty, its execution of minors, its restrictions on freedom of peaceful assembly, its violence against women, and the arrest of leading opposition figures. Its persecution of Baha'i, its use of violent force in putting down popular protest gatherings of Iranians prepared to endanger themselves through public protest. "We won't stand still in the face of these egregious actions. We will continue to express serious concern about the ongoing and pervasive human rights violations in Iran, including the persecution of religious minorities. Canada is a vigorous defender of freedom, democracy, human rights and the rule of law around the world, and we will continue to urge Iran to uphold its international obligations, to allow for freedom of religion and to respect the fundamental rights of its people." Rick Roth, Foreign Affairs spokesman. "They can get pieces of paper from the UN but they are not going to move peace forward, they are not going to make a Palestinian statehood more real. "They boycott Israel. They refuse to talk to us. Who do they plan to make peace with?" Who to make peace with? None in particular. Perhaps the PA and Mahmoud Abbas, operating an illegal government, one which hangs on despite a lack of legal authority through the polls which voted a majority share of responsibility to Hamas, and with which group Fatah has a severe, irreconcilable falling-out, has no idea how next to proceed, but by fumbling ahead. He may not have a legal mandate to rule the West Bank through elections that are promised but never held for fear of yet another popular vote that will this time boot Fatah out of the running and acclaim Hamas triumphant in the political home of Fatah, but he has sought legal standing in the United Nations, and there, where a gross collective misunderstanding of the most elemental principles of human rights reign supreme, that standing was conferred. Not nationhood, but nascent nationhood affirmed. Nationhood without subterfuge could have been achieved but since it was never authentically striven for through the creation and management of all the infrastructures and structures of a meaningful and working national institution of government with all its responsibilities effectively in place and pursued, Palestinians have satisfied themselves with the pale imitation. Why make peace with Israel when there is no will nor wish to do so? The straitjacket of an invincible hatred has achieved a status difficult to dissolve through mere face-to-face negotiations. The potent imagery of an enemy whose ardent pursuit of military punishment for impoverished, victimized refugees who have never risen above international beggar status is one that more than adequately fills the national aspiration. 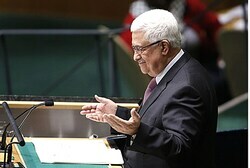 The impassioned plea with which PA President Mahmoud Abbas addressed the General Assembly used imagery and words that belied authenticity and reality, an invention of the mindset of a people incapable of working toward an amicable conclusion to too many long years of strife and turmoil. This is Fatah, remember, which saw birth as the Palestine Liberation Organization dedicated to the destruction of Israel. And if they were unable to destroy Israel itself because of its collective will to endure, they did their utmost with ferocious determination to slaughter as many Israelis as possible. That torch was handed on to Hamas, with Fatah taking a diplomatic bow from perpetuating conspicuous violence, resorting instead to the violence of incendiary slander aimed toward a most appreciative audience, both at large and within the United Nations. Observe: "Palestine comes today to the General Assembly because it believes in peace and because its people, as proven in past days, are in desperate need of it,” he said, insisting that recognizing “Palestine” as a non-member observer state is “the last chance to save the two-state solution." "We have heard and you too have heard specifically over the past months the incessant flood of Israeli threats in response to our peaceful, political and diplomatic endeavor for Palestine to acquire non-member observer state in the United Nations,” said Abbas. “And, you have surely witnessed how some of these threats have been carried out in a barbaric and horrific manner just days ago in the Gaza Strip. “We have not heard one word from any Israeli official expressing any sincere concern to save the peace process. On the contrary, our people have witnessed, and continue to witness, an unprecedented intensification of military assaults, the blockade, settlement activities and ethnic cleansing, particularly in occupied east Jerusalem, and mass arrests, attacks by settlers and other practices by which this Israeli occupation is becoming synonymous with an apartheid system of colonial occupation, which institutionalizes the plague of racism and entrenches hatred and incitement." This is a masterfully outstanding example of inverse reasoning, beloved of those who succeed in mastering the art of slanderous propaganda, portraying themselves as innocent victims of a malignant power intent on using any horrific means possible to obliterate a rival challenger for ownership of a territory that will empower the winner to emerge triumphant in its final possession. The vote to accommodate the desire of the Palestinian Authority was overwhelmingly in favour. A paltry few moral-minded UN members voted against, with yet another relative handful abstaining and a few absenting themselves with deliberate aforethought. Canada, stating its position as favouring a two-state solution requiring the Palestinian Authority to return to the bargaining table and talks with Israel was blunt about its "no" vote. "That will not be accomplished, in reality, unless and until the Palestinian Authority returns to the negotiating table and is able to get a comprehensive peace agreement with Israel. And we will not support any other shortcuts, or any other ways of trying to arrive at that solution without such a peace agreement." But symbolism can be a powerful aphrodisiac. 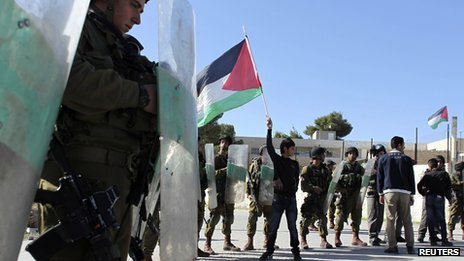 The Palestinian Authority has already signalled its preparedness to join other United Nations committees, such as a reactivated UN Anti-Apartheid Committee, and another for membership in the Forum against Racism and Discrimination, and in all likelihood ask permission to lodge a case against Israel at the International Criminal Court, which with UN nationhood recognition it may do. Israel, slurred and labelled as anti-Apartheid provides powerful, colonialist, imperialist imagery that the non-aligned-countries bloc find most appealing, and prepared to accept in their generalized loathing of the Jewish State. Israel in fact is meant to be a Jewish state. It favours and prides itself as a Jewish state. Not too different from the states that surround it in the Middle East which give citizenship to their own and none other, unlike Israel. The truth of the matter is, Israel has no partner for peace. It has a neighbour that has demonstrated, time and again, that it is not averse to expressing its racial hatred of Jews, and its contempt for a religion other than Islam. That neighbour looks too for a Final Solution. One that would permanently remove Israel from the map of the Middle East and return it in its entirety to the Arab/Muslim world. It is a desire that has a wide acceptance in that neighbourhood. Which, for over sixty years has engaged in its utmost endeavours to engineer that final scenario. Despite which, their distorted logic, which has wide appeal outside the Middle East as well, is that Israel is the aggressor, the racist, the Apartheid state, the genocidal agent in the area, the nation that must be destroyed to bring peace. And, with Israel absent from the scene, the Arab countries would finally find the peace they claim has been absent since the intolerable engineering of an earlier incarnation of the United Nations still reeling from the effects of the Second World War, and not yet overtaken by the zeitgeist of exalted victimhood status turned judge and executioner, under the rubric of universal peace and goodwill. Egypt's president will need to seek the opinion of the National Defence Council in addition to getting the approval of parliament to declare war, according to an article approved on Thursday by an assembly drafting the new constitution. The old constitution in the era of Hosni Mubarak, a former air force commander, had only required the approval of parliament. The new article, will give the defence council, which includes top officers and civilians, a formal say in such a decision. Mursi is Egypt's first president who does not hail from top military ranks. Egypt’s Constituent Assembly also decided on Thursday to keep “principles of shariah” or Islamic law as the main source of legislation, leaving the article’s language unchanged from the previous constitution. The issue was the subject of a long dispute between hardline Salafi Islamists and liberals in the assembly which will vote on each of 234 articles in the draft constitution before it is sent to President Mohamed Mursi for approval. After that, Mursi must put it to a popular referendum. The body writing Egypt’s new constitution began a session to vote on a final draft on Thursday, a move President Mohamed Mursi’s allies in the Muslim Brotherhood hope will help end a crisis prompted by a decree expanding his powers. The constitutional panel is voting on the constitution article by article. Mursi is expected to call for national unity in a public address at 7.00 p.m. (1700 GMT) to ease the crisis, which has set off a week of protests and threatens to derail early signs of economic recovery from two years of turmoil. Two people have been killed and hundreds injured in countrywide protests ignited by the decree Mursi issued last Thursday, which gave him sweeping powers and placed him beyond legal challenge, deepening the divide between the newly empowered Islamists and their opponents. Setting the stage for more confrontation, the Muslim Brotherhood and its Islamist allies have called for pro-Mursi protests on Saturday in Tahrir Square, where a sit-in by the president’s opponents entered a seventh day on Thursday. The Muslim Brotherhood, the Islamist group that backed Mursi for president in June elections, hopes to end the crisis by replacing the controversial decree with an entirely new constitution to be approved by popular referendum. “May God bless us on this day,” Hossam el-Gheriyani, the speaker of the constituent assembly, told members at the start of the session to vote on each of the 234 articles in the draft, which will go to Mursi for approval and then to a plebiscite. It is a gamble based on the Islamists’ belief that they can mobilize voters to win the referendum. They have won all elections held since Hosni Mubarak was toppled last year. But critics say the bid to finish the constitution quickly could make matters worse. The constitution is one of the main reasons Mursi and his Islamist backers are at loggerheads with opponents who are boycotting the 100-member constitutional assembly. They say the Islamists have hijacked it to impose their vision of the future. The assembly’s legitimacy has been called into question by a series of court cases demanding its dissolution. Its standing has also been hit by the withdrawal of members including church representatives and liberals. The Brotherhood argues that approval of the constitution in a referendum would bury all arguments about both the legality of the assembly and the text it has written in the last six months. Once the assembly approves the draft it will go to Mursi for ratification, a step expected at the weekend. He must then call the referendum within 15 days. Once the constitution is approved in a referendum, legislative powers will pass straight from Mursi to the upper house of parliament, in line with an article in the new constitution, assembly members said. “This is an exit. After the referendum, all previous constitutional decrees, including March 2011’s decree and the current one that created all this political fuss, will fall automatically after 15 days,” Muslim Brotherhood spokesman Mahmoud Ghozlan told Reuters. Egypt has been without an elected legislature since the Islamist-dominated lower house was dissolved in June. New parliamentary elections cannot happen until the constitution is passed. The constitution is supposed to be the cornerstone of a new, democratic Egypt following Mubarak’s three decades of autocratic rule. Mursi had extended its Dec. 12 deadline by two months, but the assembly speaker said the extra time was not needed. The constitution will determine the powers of the president and parliament and define the roles of the judiciary and a military establishment that had been at the heart of power for decades until Mubarak’s downfall. It will also set out the role of Islamic law, or sharia. “The secular forces and the church and the judges are not happy with the constitution, the journalists are not happy, so I think this will increase tensions in the country,” said Mustapha Kamal Al-Sayyid, a professor of political science at Cairo University. “I don’t know how the referendum can be organized if the judges are upset,” he added. Egyptian elections are overseen by the judiciary. Leading opposition figure and former Arab League chief Amr Moussa slammed the move to accelerate the constitution. He walked out of the assembly earlier this month. “This is nonsensical and one of the steps that shouldn’t be taken, given the background of anger and resentment to the current constitutional assembly,” he told Reuters. The decree issued by Mursi has set him further at odds with opponents and worsened already tetchy relations with the judges, many of whom saw it as a threat to their independence. Two of Egypt’s courts declared a strike on Wednesday. Mursi was unrepentant in the interview published overnight. “I think you have seen the most recent opinion surveys. I think more than 80, around 90 percent of the people in Egypt are - according to these opinion measures - they are with what I have done. It’s not against the people, It’s with the people, coincides with the benefits,” he said. Among other steps, the decree shielded from judicial review all decisions taken by Mursi until the election of a new parliament. His opponents say it exposed the autocratic impulses of a man who was once jailed by Mubarak. Western governments expressed concern, and Human Rights Watch said it had given the leader more power than the military establishment he replaced. A constitution must be in place before a new parliament can be elected. In the Time interview, Mursi disputed his opponents’ assertions that he had become a new pharaoh. “The reason why I went to prison is that I was defending the judiciary and Egyptian judges. I know perfectly what it means to have separation between the three powers, executive power, legislative power and the judiciary,” he said. “The president represents the executive power, and the president is elected by the people. And I’m keen that the people would have complete freedom of elections, and I’m keen on exchange of power through free elections,” he said. After the surprising failure of the Church of England’s legislative assembly to ratify plans to allow women bishops, senior clerics worry England's state church could face government intervention. A stained glass window depicts the resurrection of Jesus, holding the flag of St George, attended by women to his right at Rochester Cathedral in Rochester, southeast England, November 21. The Archbishop of Canterbury accused his Church of England of being wilfully blind to the attitudes of modern British society on November 21 after it voted 'no' to women bishops, a triumph for its traditionalist minority. Bitter divisions over the issue of gay marriage have long been considered the greatest potential threat to the unity of the Church of England, officially the country's state church and one with a role in lawmaking. That warning by the Secretary General of the Church’s General Synod, went on to say that the church must begin consecrating women bishops and endorsing them in 2015, when the synod has another opportunity to vote, or risk England’s Parliament taking the issue out of its hands, reported The Times newspaper. If Parliament took over the issue, it would mark the first such intervention in the affairs of a divided church since 1874, when an act introduced by the Archbishop of Canterbury forbade certain practices undertaken at the time by Anglo-Catholic ritualists. Though even the talk of an intervention is historic, “Parliament is not going to legislate unless there is agreement within the church. And it would be most reluctant to do so,” says Mr. Morris. It raises the question of the church-state relationship, but Morris says that although the idea of separating church and state has come up in the past, it’s an unlikely option. “It’s also a useful cover for dealing with other religions because you don’t have to set up a sort of ministry of cults like you do in France. It’s a proxy for that kind of arrangement,” he says. Another MP critical of the synod outcome agrees that the government would be “most reluctant” to override the church’s decision. “My feeling is that there will be, instead, renewed pressure from every source, and certainly behind the scenes,” said the Labor MP, David Winnick, who likened the failure to allow for women bishops to the denial of voting rights to women 100 years ago. Prime Minister David Cameron has expressed his "sadness" that the proposals were rejected but has, for now, appeared to rule out intervention. Parliament had to "respect the individual institutions and the way they work," he said, although this may change. Bishops and clergy both backed the proposals, but the move fell just four votes short of the required two-thirds majority among the synod’s more conservative lay members. Chris Bryant, a Labor MP and former Anglican vicar, told the BBC that the House of Commons should perhaps introduce a parliamentary bill that was “straightforward and clear,” but which would still have to go to the synod. “Maybe there should be no more bishops coming into the House of Lords until women bishops can join. It’s bizarre that they can’t legislate for themselves and yet they legislate for the rest of the country,” he says. Think you know Europe? Take our geography quiz. 138 countries vote in favor of accepting 'Palestine' as non-member observer state. Ayalon: This is a historic defeat for Palestinians. As expected, the United Nations passed a resolution on Thursday evening recognizing Palestine as a non-member observer state. 138 countries voted in favor of the resolution, nine countries voted against it, and 41 countries abstained. Shortly before the vote, Palestinian Authority (PA) Head Mahmoud Abbas addressed the United Nations Thursday, in his bid to gain recognition for the PA as a non-member observer state. This status has only been accorded to the Vatican until now. As he took the stage, Abbas launched his usual attack on Israel, accusing the Jewish State of attacking PA Arabs and carrying out ethnic cleansing. As usual, Abbas did not condemn the rocket fire by Gaza terrorists on southern Israel. "Palestine comes today to the General Assembly because it believes in peace and because its people, as proven in past days, are in desperate need of it,” he said, insisting that recognizing “Palestine” as a non-member observer state is “the last chance to save the two-state solution." Abbas claimed that "We did not come here seeking to delegitimize a state established years ago, and that is Israel; rather we came to affirm the legitimacy of the state that must now achieve its independence, and that is Palestine. We did not come here to add further complications to the peace process, which Israel's policies have thrown into the intensive care unit; rather we came to launch a final serious attempt to achieve peace. Our endeavor is not aimed at terminating what remains of the negotiations process, which has lost its objective and credibility, but rather aimed at trying to breathe new life into the negotiations and at setting a solid foundation for it based on the terms of reference of the relevant international resolutions in order for the negotiations to succeed. "We will accept no less than the independence of the state of Palestine, with east Jerusalem as its capital, on all the Palestinian territory occupied in 1967, to live in peace and security alongside the state of Israel, and a solution for the refugee issue on the basis of resolution 194, as per the operative part of the Arab Peace Initiative,” he stressed. “Every voice supporting our endeavor today,” said the PA Chairman, “is a most valuable voice of courage, and every state that grants support today to Palestine's request for non-member observer state status is affirming its principled and moral support for freedom and the rights of peoples and international law and peace. Israeli Deputy Foreign Minister Danny Ayalon said Thursday that "this is a day of historic defeat for Palestinians," and called Abbas a "diplomatic terrorist." The UN General Assembly vote on the status of the Palestinians is the "last chance to save the two-state solution" with Israel, Palestinian President Mahmoud Abbas has said. The assembly is to vote on upgrading the Palestinian status from observer entity to non-member observer state. Israel's ambassador to the UN, Ron Prosor, said the bid "doesn't advance peace - it pushes it backwards". The vote has strong EU and Arab support but is opposed by Israel and the US. "Sixty-five years ago on this day, the United Nations General Assembly adopted resolution 181, which partitioned the land of historic Palestine into two states and became the birth certificate for Israel," Mr Abbas told the assembly. Mr Prosor said "the only way to reach peace is through agreements" between the parties, not at the UN. 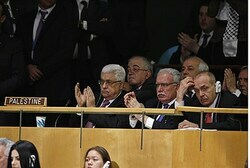 France, Spain and Norway are among those urging the General Assembly to raise the Palestinians' UN status. Germany is set to abstain. While the move is seen as a symbolic milestone in Palestinian ambitions for statehood, a "Yes" vote would also have a practical diplomatic effect, says the BBC's Barbara Plett, at the UN. It would allow the Palestinians to participate in debates at the UN and improve their chances of joining UN agencies and bodies like the ICC. Reuters An image from amateur camera phone video shows a sheet-covered body lying on a road near an ambulance in the gated private community of St George's Hill in Weybridge, Surrey on Nov. 10, 2012. A Russian businessman helping Swiss prosecutors uncover a powerful fraud syndicate has died in unexplained circumstances near his mansion in Britain, in a chilling twist to a Russian mafia scandal that has strained Moscow’s ties with the West. Alexander Perepilichny, 44, sought refuge in Britain three years ago and had been helping a Swiss investigation into a Russian money-laundering scheme by providing evidence against corrupt officials, his colleagues and media reports said. He has also provided evidence against those linked to the 2009 death of anti-corruption lawyer Sergei Magnitsky, a case that caused an international outcry and prompted the United States to push for a bill cracking down on Russian corruption. Perepilichny, a Russian citizen, collapsed and died not far from his home on an upmarket, heavily protected estate in the county of Surrey, south of London, on November 10. He is now the fourth person linked to the Magnitsky case to have died in strange circumstances. Locals at the estate – dubbed as Britain’s Beverly Hills and ringed by neatly trimmed golf courses and security check points – told Reuters that Perepilichny’s body, clad in running gear, was found after dark at the top of a hill. AFP/Getty ImagesThe 2009 death of anti-corruption lawyer Sergei Magnitsky caused an international outcry. A shaky mobile phone video clip shot by Liam Walsh, a 24-year-old local chef, showed a motionless body of what he said was Perepilichny stretched out on the side of a deserted lane lit by the light of a lone lamp-post. “He wasn’t breathing. We had to get him on the back and start doing CPR (first aid). He was probably dead for a while,” Walsh told Reuters as unmarked security cars patrolled the immaculately maintained estate. Far beyond Russia’s borders, Magnitsky’s death has become a symbol of corruption in Russia and the abuse of those who challenge the authorities there. This month the U.S. House of Representatives voted overwhelmingly to “name and shame” Russian rights violators as part of a broader trade bill, brushing off warnings from Moscow that the move would damage relations. William Browder, a former employer of Magnitsky and a prominent London-based investor, said Perepilichny had come forward in 2010 with evidence involving the Magnitsky case that subsequently helped Swiss prosecutors open their investigation. “Alexander Perepilichny approached us in 2010 as a whistleblower with evidence about the complicity of a number of Russian government officials in the theft of $230 million which Sergei Magnitsky had uncovered,” said Browder, founder of Hermitage Capital Management. Browder, whose grandfather was the general secretary of the American Communist Party, was one of the biggest Western investors in Russia but was barred from Russia in late 2005 and most of his staff left the country as Hermitage found itself coming under increasing official pressure. Magnitsky was jailed in 2008 on suspicion of tax evasion and fraud, charges that colleagues say were fabricated by police investigators he had accused of stealing $230 million from the state through fraudulent tax refunds. The Kremlin’s own human rights council has said Magnitsky was probably beaten to death. News of Perepilichny’s death initially appeared on Wednesday in a report in Britain’s Independent newspaper, which is backed by Alexander Lebedev, a Russian billionaire who has spoken out publicly against the Kremlin. British media said Perepilichny appeared to be in good health before he collapsed in the evening outside St George’s Hill, one of Britain’s most exclusive estates, where he was renting a house for 12,500 pounds ($20,000) a month. St George’s Hill is home to many big names in the financial and celebrity circles, its long list of one-time tenants including Elton John and Ringo Starr. Leaked secret diplomatic cables from the U.S. embassy in Moscow once described Russia as a “virtual mafia state”, and London has long been the chosen destination for Russians seeking refuge from trouble at home. But concerns have been growing in recent years that Britain might be turning into a playground for Russian mobsters as gangland violence seems to be spilling over Russian borders. In April, a former Russian banker was shot near London’s Canary Wharf financial district, sending a chill through the immigrant community. In 2006, former Russian spy Alexander Litvinenko died after drinking tea poisoned with polonium-210. Asked about Perepilichny’s case, Swiss prosecutors said it started its criminal investigation in March 2011 following a complaint made by London law firm Brown Rudnick filed on behalf of Hermitage Capital Management. “Concerning the death of Mr Perepilichny and its consequences on the criminal proceedings, we’d like to stress that our strength resides in our ability to minimize the influence of such a regretful event on our investigation,” the Swiss Office of the Attorney General said in a statement. Perepilichny was also a witness against Russia’s notorious Klyuyev Group, a murky network of officials and underworld figures implicated in tax fraud who used European bank accounts to buy luxury property in Dubai and Montenegro, The Independent reported. “Perepilichny was the guy who brought all the evidence they needed to open the investigation,” a source told The Independent. “He brought with him records of shell companies, Credit Suisse accounts, property transactions. The whole lot." Thursday night, Nov. 29, the UN General Assembly grants Palestine non-member observer status within 1967 borders by a majority vote. Israeli Prime Minister Benjamin Netanyahu has tried dismissing this upgrade as meaningless – awarding its initiator Mahmoud Abbas (Abu Mazen) nothing more than a small town sheriff’s badge. But the fact remains that this status and those borders are on the books, no matter which Palestinian government is in power, Abbas’s Fatah which rules the West Bank from Ramallah or the extremist Hamas in the Gaza Strip. And Israel now has a new headache, especially if the Palestinian entity seeks membership of the International War Crimes Court in The Hague. For now, the Palestinians are treading carefully. They say they won’t apply as yet. However, by having Yasser Arafat’s remains exhumed in a grand military ceremony, for samples to be tested for poison in Paris and Moscow, they have set a road sign pointing to The Hague. The Palestinians have long suspected Israel of poisoning the food given Arafat after he was confined in his Ramallah headquarters under siege in 2002. A special team of IDF officers examined every item of food and drink provided him. 1. The Palestinians have an incurable tendency to overlay their diplomacy with acts of terror. Arafat himself kept up a ferocious terrorist campaign against Israel while engaged in one round after another of “peace negotiations.” And just last week, Hamas engineered a bus bombing in Tel Aviv, recalling the bad old days of Arafat’s reign and injuring more than 30 people. The blast provided the background noise for Hamas’s acceptance in Cairo on Nov. 21 of a ceasefire, which halted their missile offensive and Israel’s eight-day operation in Gaza. 2. Compared with the aggressive Hamas, PA Chairman Abbas, at 77, is increasingly regarded as a spent force in the Palestinian and Arab arenas. His Fatah party and the Palestinian Authority are worn out by infighting and becoming increasingly irrelevant – except as a ball for batting among Israeli politicians. Abbas is using the Arafat case and his UN initiative to show he still has muscle – if not legitimacy. Elected president seven years ago, his term ran out, according to the Palestinian constitution, in 2009. The same goes for the Palestinian Legislative Council, which was elected in 2006 in a vote that gave Hamas a majority. Since then, Abu Mazen has suspended the Council’s work. There is frequent talk in Ramallah of new elections but nothing comes of it, partly for fear of giving the rival Hamas another chance to gobble up the West Bank as well as the Gaza Strip. So the Palestinian president and prime minister holding court in the seat of government in Ramallah lack legal authority for ruling the West Bank or representing the Palestinian people to the outside world. They are only kept in power by seven battalions of special forces financed by the US. Their corrupt administration runs day to day affairs only with the help of donations from Western and Arab governments and Israeli economic aid. Without regular Israeli cash infusions in recent months, Abu Mazen’s regime would not have covered the payroll for the members of his bloated administration and security services. All Abbas and his Fatah have to show for the many billions which world powers showered on them over the years to make the dream of a sustainable Palestinian state come true is a failed Palestinian entity ruled by a corrupt bureaucracy, with no standing in the Arab arena. It is to this entity that the UN General Assembly, which itself is losing relevance as a player in international affairs, has voted to extended a measure of legitimacy on the world stage. The Palestinian UN Ambassador may now get a bigger office at UN Center in New York with a view of the East River. But in Ramallah, after the well-orchestrated celebrations in honor of Abu Mazen are over, nothing will change. The toxicology tests on Arafat’s remains are awaited there in the hope of some drama. But the real hub of Palestinian affairs has moved from Ramallah to Gaza City. On December 8, treading in the footsteps of the Emir of Qatar and Arab foreign ministers, Turkish Prime Minister Tayyip Erdogan pays his first visit to Gaza. He will be accompanied by the deposed Hamas leader Khaled Meshaal. So far, he has not persuaded Hamas prime minister Ismail Haniyeh to welcome Mahmoud Abbas as a token of Palestinian unity. The disunity is such that when Abbas’ foreign minister Riyad Malki tried to enter the Gaza Strip with a party of Arab foreign ministers in the course of ceasefire talks, he was stopped at the Rafah crossing by Hamas security guards who denied his standing. None of the Arab ministers interceded on his behalf. They just left him at the gate. Erdogan will therefore not make Abbas’s company a precondition for his own Gaza visit. For him its importance lies in his being the second Muslim visitor to Gaza after the ruler of Qatar’s arrival on Oct. 23. Most of all, it signifies his recognition of Hamas at the expense of Fatah in Ramallah as part of the burgeoning Sunni Muslim Middle East axis, which is strongly though silently endorsed by the US and Israel. No Arab leader or foreign minister has been seen in Ramallah for some time. 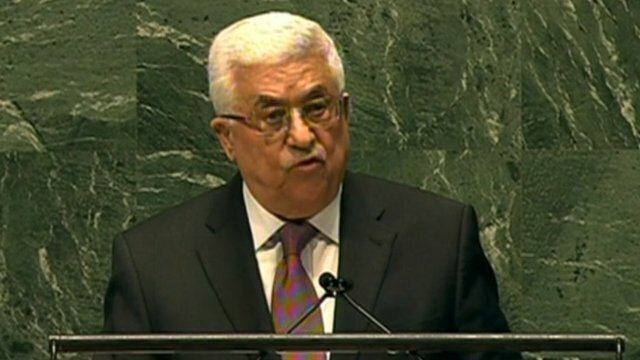 However, in his declining years, Abbas has left UN endorsement of Palestinian nonmember observer status ready on the shelf to be collected at some future date by Hamas – should those extremists qualify for a place in the new US-backed Sunni Middle East grouping in formation by Egypt, Turkey and Qatar. At some future point, the dormant Middle East Quartet may wake up and revive its stipulation for Hamas to give up terrorism and its ambition to eradicate Israel – the key points of its “resistance” posture – in order to buy international acceptance.